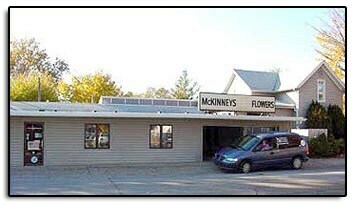 McKinney's Flowers has been delivering to Lafayette, West Lafayette & Purdue since 1947. 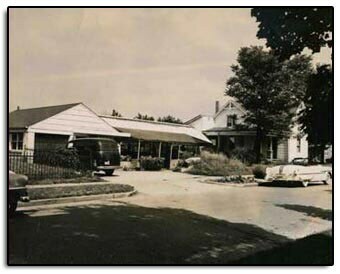 The McKinney family still owns and operates our shop in the original historic Linnwood neighborhood. We are committed to brightening your life with flowers. Our friendly and knowledgeable staff are dedicated to helping all our clients select the most memorable and perfect gift for others or for yourself. Leeanne is a third generation floral designer in the McKinney family. 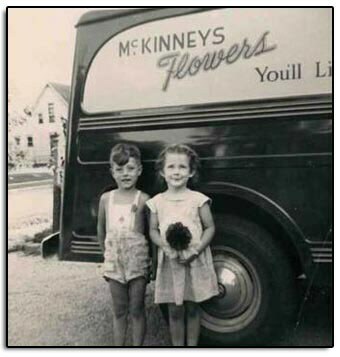 She has been managing McKinney’s Flowers since 2002, representing the long-established shop her grandparents, Jess and Dorothy McKinney, created in 1947. Leeanne graduated from design school in 1996, becoming an Indiana State Certified Florist shortly after. Her family’s passion for flowers radiates through her work, as she has earned prizes at the state level in floral design and continues to pursue this integral dedication with yearly design classes. Leeanne enjoys many adventurous hobbies, such as: travelling, hiking, skiing, and biking. She also loves spending time with her family. Micah is a talented designer and owns her own flower-growing business, Honey Bee Flower Farm. Some of the flowers that you see in our arrangements, especially during the warm weather months, are grown with passion from Micah’s farm. She graduated from Purdue with a horticulture degree and has been working with flowers for a year now. Micah loves growing unique flowers in her greenhouse and spending time outside. Two interesting facts about her is that she is a quadruplet and a total plant nerd! Monique not only designs but also takes care of all of our flowers here at McKinney’s. She started working in the flower business toward the beginning of the year and previously studied at uIndy. Monique has a passion for many things including: reading, playing card games, writing, drawing, and video games. She is a huge fan of all things science fiction related! Peggy is a designer here at the shop and has worked with plants and flowers her entire life. 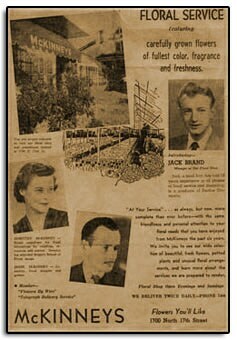 She previously worked at Bennett’s Greenhouse and Marsh’s Flower Department. Peggy grew up in a lush forest, sparking her passion as a nature-lover and likes to garden and go camping in every season. She is a proud Niches Land Supporter. Peggy also has one granddaughter and possesses an eclectic musical taste. Kaitlyn is a designer at McKinney’s and also specializes in customer service. She first started out at a flower shop in Temecula, California after graduating from high school. Kaitlyn has a serious passion for the environment and is currently studying for her major in environmental science. She enjoys traveling, photography, hiking, gardening, cooking, and spending time with people who make her happy. An interesting fact about her is that she can play the alto saxophone! Our shop is open from 8:00 a.m. to 5:00 p.m., Monday through Friday and from 9:00 a.m. to 1:00 p.m. on Saturday. We are closed on Sundays with the exception of funeral deliveries. Our shop personally delivers to the following areas: Lafayette, West Lafayette and Purdue University. For other areas, we will contact one of the local florists in our network to provide the same quality service. We will do our best to accommodate deliveries at specific times of day, but we cannot guarantee it. If you require a specific delivery time, please call us to ensure this time is available. We cannot guarantee timed orders made solely on our website. Certian weather conditions will prohibit us from leaving deliveries anywhere other than in a climate controlled building.